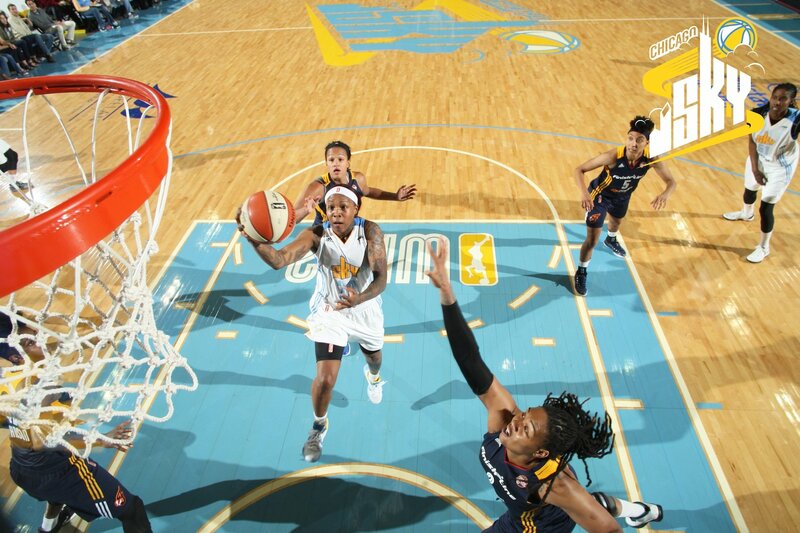 Chicago Sky guard Cappie Pondexter scores against the Indiana Fever in a June game. The teams played each other in the Eastern Conference semifinals earlier this month. Photo by Gary Dineen/NBAE via Getty Images. 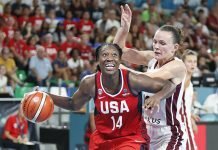 Nine days ago, ESPN writer Mechelle Voepel rightfully took issue with NBA commissioner Adam Silver’s comments that the WNBA “receives no press coverage.” I agreed wholeheartedly that the league doesn’t publicize or acknowledge the publicity that they do get, which I had said to them in August. 1. The WNBA needs to embrace and own who they are. The athletes that comprise the WNBA are a diverse bunch. They are of all races, hail from various countries and parts of the U.S., have different political and spiritual beliefs, and are straight, lesbian and bisexual. Some are tomboyish; some are feminine. Some are quirky, some are outgoing, some are tattooed. The league would do well to embrace and celebrate this human kaleidoscope. It is a beautiful and unique tapestry. And not acknowledging the diversity – or much worse, denying it exists – isn’t honest. Sports fans see right through that. People tend to accept those who accept themselves, and that goes for organizations and sports leagues, too. 2. Educate the public about the women’s game. Basketball great Bill Russell, who still attends Seattle Storm games on occasion, said once about the WNBA: “they play the game like we used to play it.” In other words, more fundamentals-based. That’s a concept that’s fallen by the wayside in the modern NBA, which is more of a one-on-one isolation and acrobatics-based show now. Potential WNBA fans should know that what they’ll see is tough, physical, fundamentally-sound competition, where the athletes play hard. They also play great defense, which is something else not seen in the NBA too often anymore. This effort might entail getting some of the “old heads” like Russell involved, as the older generation overall seems to appreciate the WNBA more. The league will also have to highlight how empowering it is to be a strong woman. With the current emphasis on strength in fitness pushing out the classic stereotypes of the waify model, this shouldn’t be as difficult at it once was. The WNBA will have to make a push toward women and girls. Not enough of them know about or watch professional women’s basketball. They need to be on board. Finally, the league would do well to educate their entire fan base about the history of the WNBA, and women’s basketball in general. Fans of the men’s game can recite statistics from the first days of the NBA, but some WNBA fans barely know who the founding players of the league were. 3. Publicize the publicity that the WNBA gets. The WNBA needs to link every single story that a writer or reporter does on a team, a player or a coach, on their twitter feed. They could also have a special section of their newly-designed website as a catalogue of pieces written about the league. Each team needs to link all stories about their team, players and coaches on their individual twitter feeds, too. Not only is this good business sense in publicizing and drawing attention to the product, it encourages writers to produce more. A true win-win situation. 4. All team media relations directors should be proactive and responsive. Media relations directors for all 12 teams should respond to media requests and questions in a timely fashion. Directors, or another appointed staff member, should update the team twitter and web page daily with relevant tweets and content. Campaigning voters for end-of-the-season awards should not be optional, but required. 5. Every WNBA coach should have a twitter and public presence. Each WNBA coach should tweet at least once per day, either personally or via an appointed staff member. Coaches should strive for at least one brief, on-camera interview for the team twitter or web page account twice per month during season. This promotes team visibility. 6. Teams need to host more fan events. 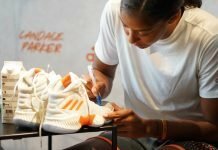 Fan events get WNBA supporters excited. A little time and an autograph from a player or three often results in those same fans becoming season ticket holders – or remaining as such. The problem is, most teams have done less and less of that as the league has aged. Team picnics, game parlor events, bowling night and Q&A sessions are just a few of the events I’ve attended or heard of in the past. They are perfect for WNBA fans, who tend to love their favorite players just as much as people as they do on the court. Seeing them speak or do something funny makes a fan’s day – and encourages their eternal loyalty. The WNBA didn’t truly establish a fan base before they started to back away from it. They need to get back to their roots, and their reasons for being: the fans. 7. There should be more exhibition games. Preseason exhibition games ought to be played in cities that don’t have a WNBA team. Give the populace in those areas a treat and/or show them what they’ve been missing. Test the waters out for a new team location. Exhibition games should be played all year round. Use those athletes who are not overseas, or prospective league players. Keep the WNBA in people’s minds during the winter. 8. Enlist the help of fans in each WNBA city to help with marketing. The league has teams in 12 very different cities, and what works in one place may fall flat in another. Just compare the river walks of San Antonio to Madison Square Garden to the intimate setting at Key Arena in Seattle. Fans in each city know best how to market to their community. I learned this in listening to many a great idea from fans around the country over the years. Form a fan committee in each city to regularly brainstorm outreach and publicity campaigns for their teams. Not only will they have amazing ideas, they likely will have connections to make them happen, too. I appreciated the WNBA’s dynamic playoff promotion video “Watch Me,” last week. Hopefully they will take the next eight steps forward and publicize this league full of amazing athletes. Yep, a lot of team websites out there are realllly slow. a) an introductory committee – someone that could prepare a list of shops, stores, restaurants, etc. for new players. “Welcome to our city”. b) local fan clubs. Hey, maybe I should make a Twitter account for WNBAFans_Atlanta. It couldn’t hurt! Well written! What I’ve never understood is why the different teams don’t have a common hashtag. I mean, take the day where 10 teams were playing, each team had their own twitter hashtag and some were trending in their regions. A common hashtag would give them more visibility on twitter and it wouldn’t cost them anything to add it. They can keep their own hashtags but add that one common one – and the fans can help spread the word. What would it hurt? Great idea, Vicky! A perfect example of my 8th point. Very well written! You expressed the feelings I have had for years. For some odd reason, my thoughts are never asked smh. I feel I’m a very unique piece in this league because I came around at a time that allowed me to play with the pioneers and the future builders of this league. My perspective is very different from current players. I have the BEST OF BOTH WORLDS in more ways than one. It’s sickening to see the lack of visibility the league gets during the offseason. This league is my baby! I desperately want it to thrive and be a mainstay. I envision a day where we will celebrate our version of the Super Bowl 50……wnba style! Sorry for sounding like a mother petitioning for her child to play, but my feelings run deep for this league. Thank you for that validation, Delisha. It’s maddening – absolutely maddening. Hey Jane, I can’t say I know any secrets. I just click “spam” on all of them and they are trashed. I guess lots of people out there have no lives. Awesome article. My daughters play basketball we’ve been to WNBA games chicago Sky and Indiana fever. My biggest issue is the players don’t even make an effort to connect with the high school girls who support them we couldn’t even get a hello from Elllena Della Donne or Tamika Catchings. In time the girls have lost interest. Yet we go to an NBA game and Derrick Rose and Pau Gasol are signing autographs and taking selfies with the girls before and after the game. If the WNBA players don’t connect with young girls the league will never have a strong fan base. Also the WNBA players need to show up at Girls Summer AAU club basketball tournaments this will be big publicity. I agree with above statement wrt getting the players to local schools or clubs of girls bball. To say a few words of encouragement & to meet young players one-on-one would be very exciting for them (as I have personally witnessed this a few yrs ago). How about inviting larger celebrities, like music artists or actors, to come watch games? Have they ever been invited? Perhaps blending their popularlity with the league would bring some positive changes. Toronto Raptors just had Drake night lol! I made this suggestion last year, Pauline, and made it to the new league president this year. But she didn’t seem to care for it.